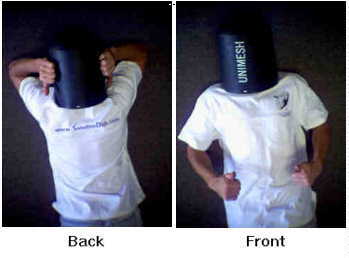 SatelliteDish.com - Clothing and Apparel / Promotional Materials. Description: 7 oz., 100% ringspun cotton pique. No-shrink, no-fade fabric, and a no-curl collar. Topstitched shoulders, armholes and cuffs. Dyed-to-match neck and side vent twill tape. Side seamed with vents. Three-button placket with pearlized buttons. OUTER BANKS Men's Ultimate Polo - Corporate Uniform. Description: The Port Authority SuperPro Oxford Shirt. S658 Look your best in a tried-and-true oxford that performs. Proven in independent lab tests to resist and release stains, our SuperPro Oxford has a soft hand and a wrinkle-free finish to keep you looking neat and professional all day long. Description: Clothes shopping always has to include T-Shirts, Hoodies, Sweat Shirts, Hats & More. Now you can shop SatelliteDish.com apparel from home. Description: Hats, caps & berets from SatelliteDish.com Shop our growing selection of styles and colors or Call 954-941-8883 6 Panel Constructed > Cotton twill 6000S Pro style cotton twill solid or 2 color cap 6 Panel Unconstructed > Washed cotton Cap / Snapback – Headshots Original from SatelliteDish.com Headshots Gap Baseball Cap - Promotional products, Tradeshow giveaways, Imprinted by SatelliteDish.com. Hats: Low hats - High hats. Description: High quality Hanes BEEFY-T 100% preshrunk cotton. Fabric made in USA assembled in Jamaica. Care: Machine wash warm, inside out, with like colors. Non chlorine bleach. Tumble dry medium. Medium/Hot iron. Promotional products, Tradeshow giveaways. Miscellaneous: SatelliteDish.com - Flair/Swag and other promotional material :Magnets Pens, Calculator, Note Pad, Compass, Frisbees, Lanyard, Sunglasses, Cozies, Flash Drives and more.